On Dec. 16, 2011, Roskosmos reported parameters of Phobos-Grunt's orbit as 275.7 by 201.3-kilometers and predicted its reentry between the 6th and 19th of January 2012. According to the agency, more accurate prediction of the reentry time and its location could be made no earlier than few days in advance. 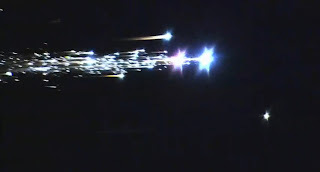 Around 20-30 fragments with a total mass of no more than 200 kilograms were to reach the Earth surface, the agency said. Roskosmos confirmed that 10 micrograms of the radioactive Cobalt-57 isotope were a part of one of the scientific instruments onboard the spacecraft, however a tiny amount of material and its slow decay rate would render it harmless to the environment. All propellant onboard the spacecraft would burn up at an altitude of around 100 kilometers, Roskosmos said. The Russian Federal Space Agency proposed sending a new mission to Phobos in 1999. Called Phobos-Grunt (“grunt” being the Russian word for “soil”), this mission aimed to gather a sample of soil from the moon’s surface and send it back to Earth for analysis. 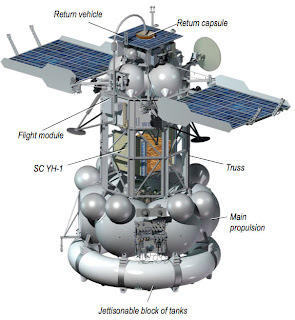 Although an unmanned sample return mission sounds complicated, the Russian space program has succeeded many times in conducting similar missions closer to home. Unfortunately Mars seems too far away again for Russia.